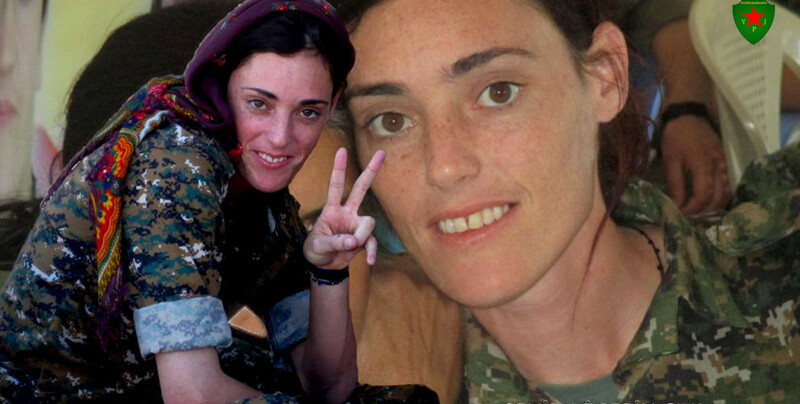 Latin American YPJ fighter Alina Sanchez (Lêgerîn Çiya) has lost her life in a traffic accident. YPJ said she was loyal to Leader Apo with great love and consciousnes. “Comrade Lêgerîn had been in the ranks of the revolution for several years, and worked in the medical services. She had saved the lives of countless wounded comrades. With great sacrifice, morale and enthusiasm she tended to the medical needs of her comrades. Despite that, Comrade Lêgerîn always wanted to be in the foremost fronts in battle. She was full of great revolutionary morale and enthusiasm. She was loyal to Leader Apo with great love and consciousness. Comrade Lêgerîn had a meaningful and disciplined life, and was a comrade who thought all her services to the revolutionary struggle were not enough, and always strived for maximum participation.